25352 N 1750 East, Hudson IL 61748 – SOLD! Attractive curb appeal pulls you into this 3 bedroom 2 1/2 bath home right across the street from Lake Bloomington and the Davis Lodge! 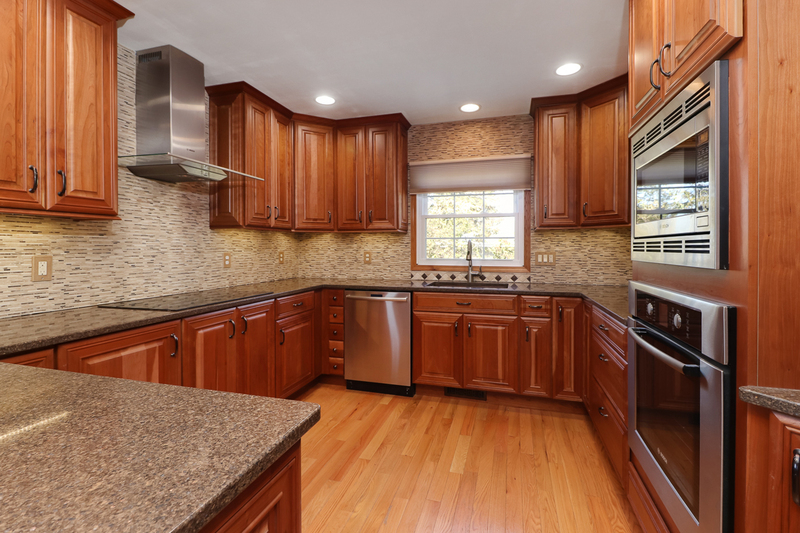 Beautifully remodeled ktichen features Schrock cherry cabinets with dovetailed, soft close drawers, Quartz countertops, hardwood floors, tile backsplash, stainless steel appliances, and tile detailed sink. Two full baths upstairs have been remodeled. All three bedrooms have new carpet & paint. Lowest level offers second family room, laundry, and half bath. Backyard is the kind of getaway you see in magazines – custom fireplace with surrounding water feature and enormous patio. You’ll send so many nights out there in the summer! Another plus – no back neighbors! Peaceful crop fields are all you’ll see. Other updates include: Roof 2004, HVAC 2013, Water Heater 2008, Gas fireplace 2010, Garage Door 2001, Kitchen remodel 2013, Vinyl siding 2012, 28×12 Shed 2014, Patio/Driveway 2017, Outdoor fireplace 2016.